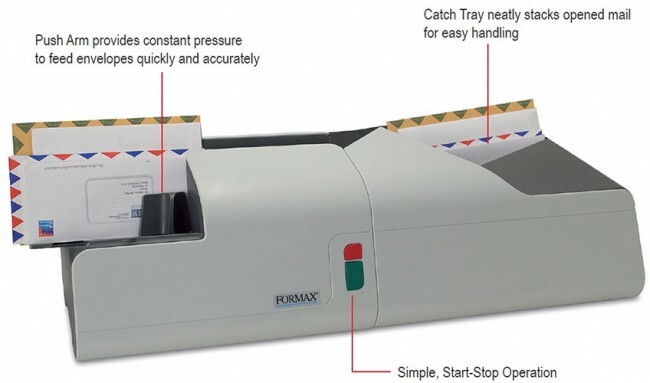 The FD 452 envelope opener automates the tedious task of opening incoming mail by slitting one side of the envelope, leaving the contents undamaged, without messy paper scraps to clean up. A variety of envelope sizes can be processed at once without pre-sorting. For more information or to purchase a new Formax FD 452 envelope opener, contact Symco Group at 800-878-8002 or email to info@symcogroup.com.